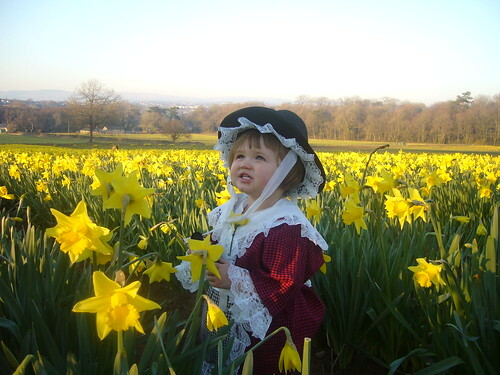 Saint David's Day, originally uploaded by Tourism Bridgend. Saint David's Day or Dydd Gŵyl Dewi Sant in Welsh is the patron Saint of Wales. The date was declared a national day of celebration within Wales in the 18th century and falls on the 1st March each year. The date of was chosen in remembrance of the death of Saint David on that day in 589, and has been celebrated by followers since then. To celebrate this day, people wear a symbol of either a leek, or daffodil. The leek arises from an occasion when a troop of Welsh were able to distinguish each other from a troop of English enemy dressed in similar fashion by wearing leeks. An alternative emblem developed in recent years is the daffodil.